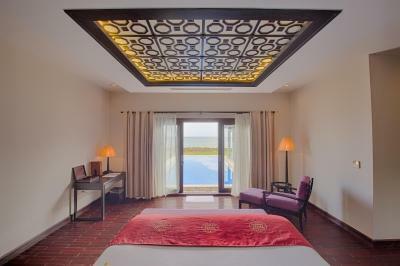 Lock in a great price for Ana Mandara Hue Beach Resort – rated 9 by recent guests! The staff is one of the genuinely friendliest I have encountered anywhere. I had many pleasant conversations and interactions with staff members who consistently went out of their way to enhance my experience. Also, the food was very fresh and wonderful. The beach bar was dreamy. The room was massive, very clean, and beyond comfortable. Any stress will surely melt away! The whole place is charming and isolated. It is unique in Hue. Entrance is having waterfall along the wall, up the main stair the lobby is offering an impressive view to the ocean. Room service is until midnight and the staff are really helpful. Staff is being trained for English French and Korean. 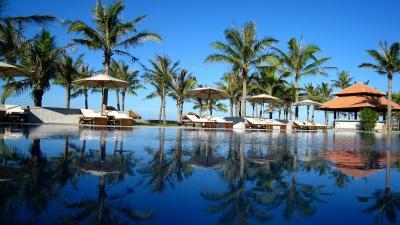 The swiming pool is impressive and short distance to the ocean. Definitely worth a few nights. We stayed here for 5 days. 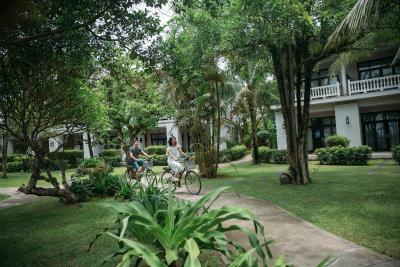 We used the bikes to explore the town around the resort, we went into Hue several times on the shuttle, its about 30 minutes from the resort. 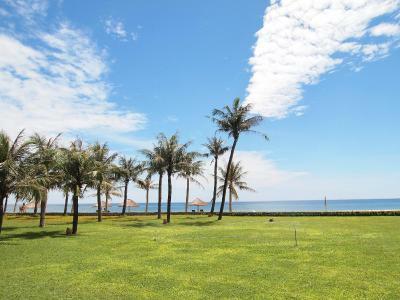 The Resort is a nice break from the craziness of a Vietnam city. 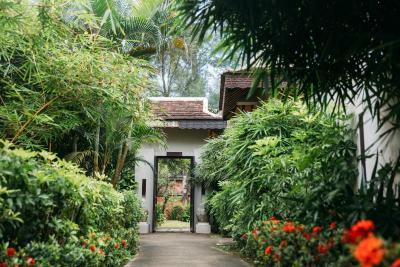 We found the resort to be secluded and luxurious, perfect for our trip. 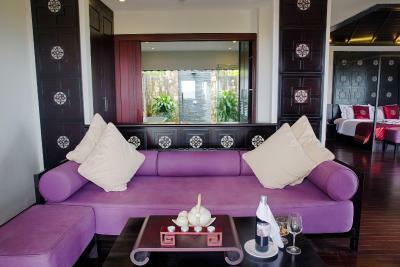 We stayed in a beach villa and found it spacious, comfortable and luxurious. The resort does show signs of the tropical storms in the area, like water damage on walls, but overall the resort was in good condition. The pool is very nice and the pool service is great. 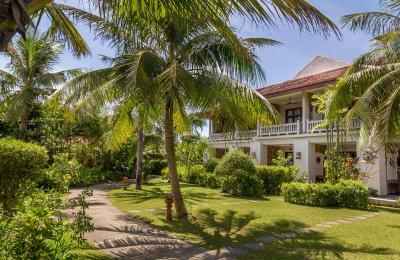 Our family stayed in this resort last month and we booked the bungalow that faced to the beach. 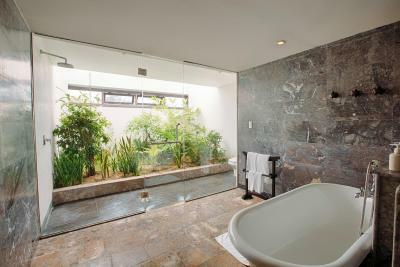 The room was big for 4 of us, our kids liked the bathroom where they can also shower under the sun. The beach was good, either the pool. Breakfast was great with many choices. Staffs were friendly. The staff was more than friendly and diligent, super nice! And the breakfast exceeded my expectations. I highly recommend this hotel. Right on the beach. Nice big rooms. Breakfast amazing. 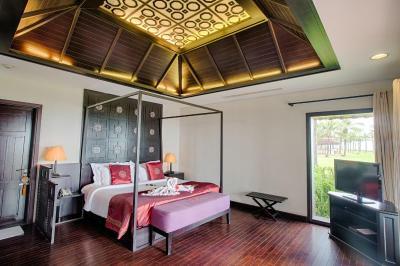 Ana Mandara Hue Beach Resort This rating is a reflection of how the property compares to the industry standard when it comes to price, facilities and services available. It's based on a self-evaluation by the property. Use this rating to help choose your stay! 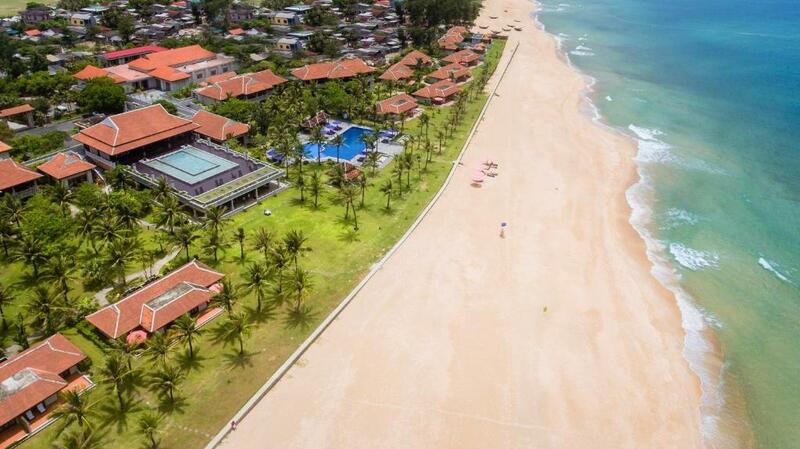 One of our top picks in Hue.Fronting a 1,200 feet white sandy beach, the luxurious Ana Mandara Hue Beach Resort is set on 3 hectares of landscaped gardens. 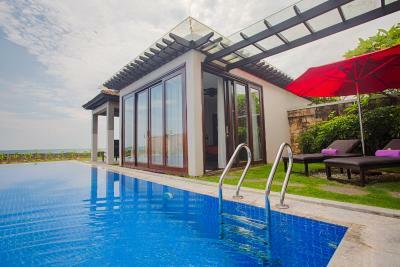 It features a large outdoor swimming pool and 3 dining options. 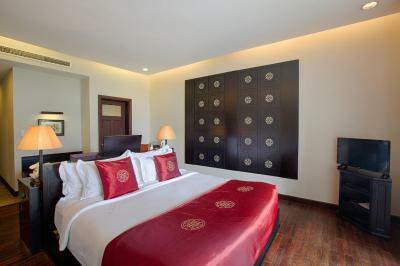 Ana Mandara Hue Beach Resort is a 20-minute drive from Hue City and a 45-minute drive from Hue International Airport. The resort provides shuttle services to the city. 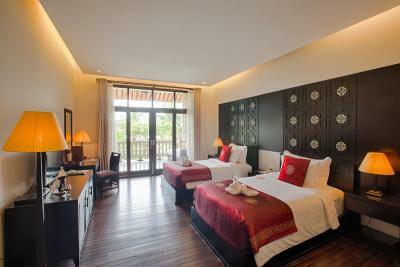 Rooms at Ana Mandara Hue Beach Resort feature spacious Vietnamese-inspired interiors and come with private balconies. 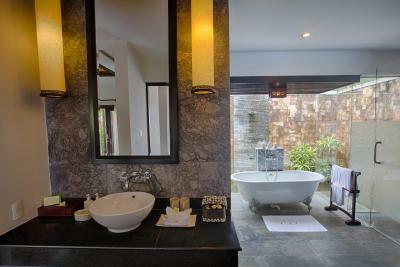 They have large and luxurious bathrooms with bathtubs. 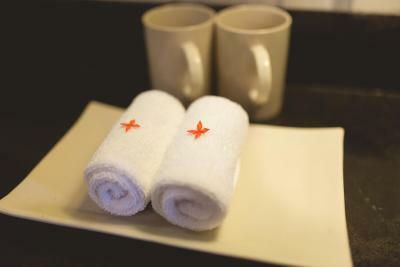 Each air-conditioned room has satellite TV, a safe and tea/coffee making facilities. 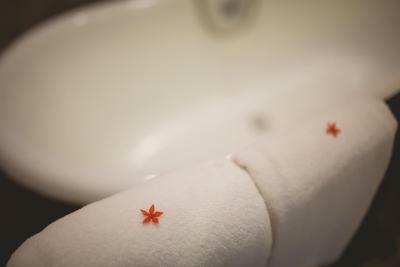 Guests can relax in the hot tub or enjoy indulgent massages in the spa. 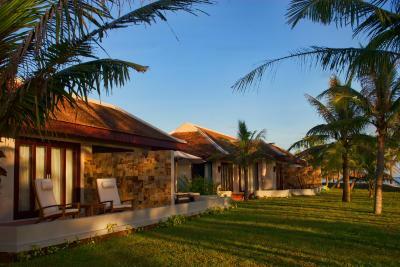 Ana Mandara Hue Beach Resort also provides a beauty salon, children’s recreational facilities and a business center. 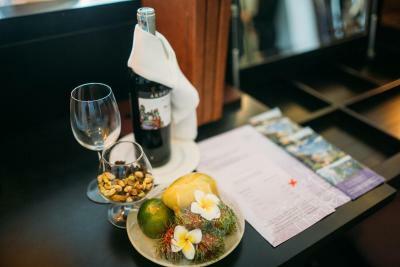 A tour desk assists guests in organizing excursions and day trips. 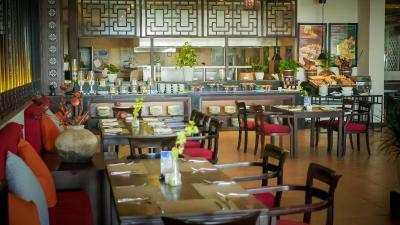 Diners at Lagoon Restaurant can watch the chefs prepare international dishes in the open kitchen. Hue Flavor Restaurant serves local specialties for lunch and dinner, while the Lobby Lounge offers views of Thuan An Beach and Lotus Pond. 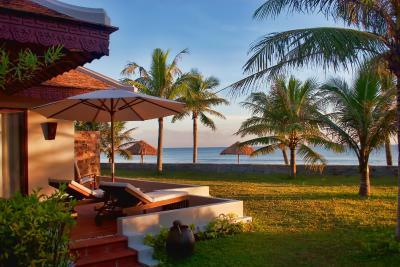 When would you like to stay at Ana Mandara Hue Beach Resort? 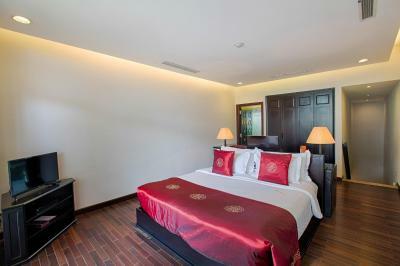 This spacious, air-conditioned room features a terrace and comes with a satellite TV and desk. There is a tea and coffee maker and mini-bar. 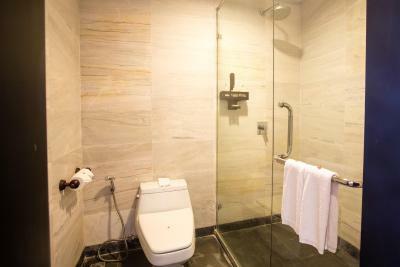 The private bathroom has a bath and shower with free toiletries. 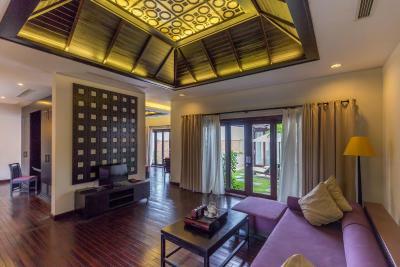 This spacious villa offers a large 48-square-yard indoor living area and a spacious terrace with sun lounges. 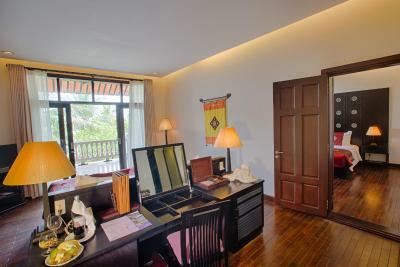 Fitted with separate bedroom and living room, this villa comes with both an indoor and outdoor bathroom with free toiletries. 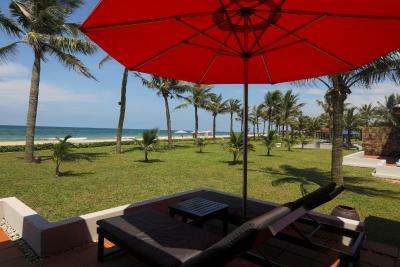 VIllas are located within walking distance from the beach. This extra spacious, air-conditioned 2-story duplex features a pantry, bathroom and covered terrace on the lower floor, and a bedroom and spacious bathroom on the upper floor. An outdoor terrace on the upper floor offers extra outdoor living space. The duplex offers satellite TV and a desk. There is a tea and coffee maker and mini-bar. 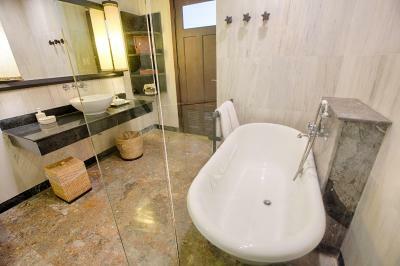 The private bathroom has a bath and shower with free toiletries. 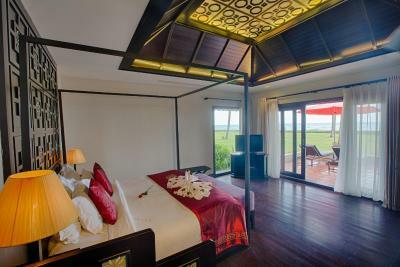 Fitted with a bedroom, indoor living room and a dressing area, this extra spacious, air-conditioned villa comes equipped with a 48-square-yard private pool and sundeck. Featuring a sitting area with a satellite TV and a large daybed. There is a tea and coffee maker and mini-bar. 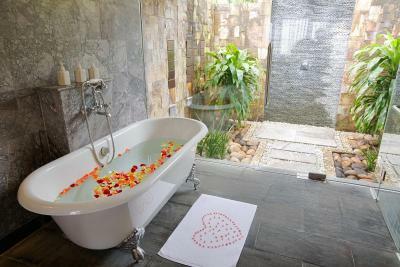 Indoor and outdoor bathrooms have a bathtub or shower with free toiletries. Breakfast is included for 2 children under 5 years old if sharing a room with 2 adults. 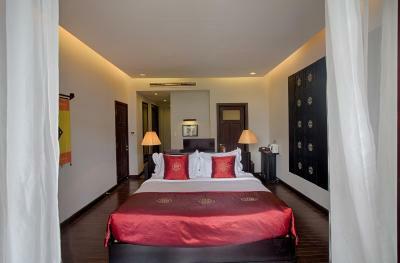 This spacious, air-conditioned room features a terrace and lush garden views. Amenities provided include a satellite TV and a desk. 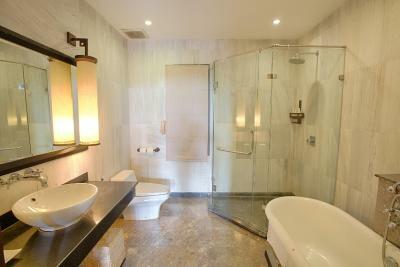 Private bathroom is fitted with a bathtub and shower. Free toiletries are included. 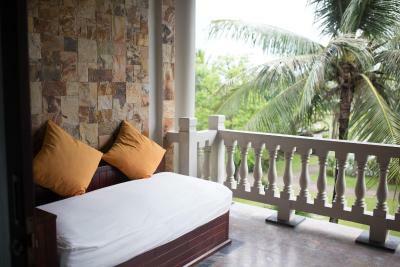 Featuring a balcony with garden views, inter-connecting rooms include a satellite TV, mini-bar and tea/coffee maker. 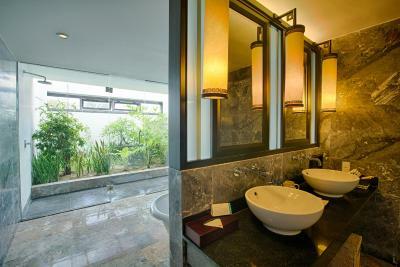 The private bathroom offers shower facility and free toiletries. 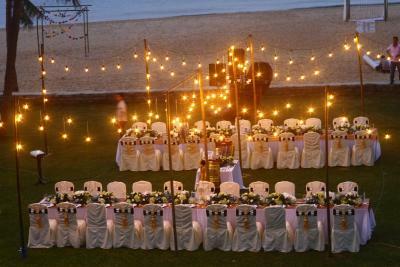 House Rules Ana Mandara Hue Beach Resort takes special requests – add in the next step! 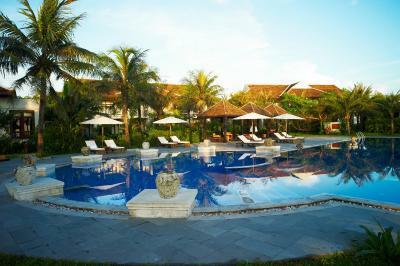 Ana Mandara Hue Beach Resort accepts these cards and reserves the right to temporarily hold an amount prior to arrival. All items in the menu do not include 5% service surcharge and 10% vat. No one told us that at check in. Sea water was unfortunately dirty and seemed to be polluted. Nice staff and beautiful pool. Bad timing for us their was a very loud local party on the beach! But there was nothing you could have done just bad luck! Fantastic relaxing place. Staff were great and so helpful. Beach does not have guard on duty. Not enough loungers and tents near the pool. Great Hotel! The room is spacious, has free water bottles, rob, slippers, tooth paste, etc. Banana basket and biscuits were replenished every day, upon departure hotel gives a souvenir. Nice pool. Very good massage. Attentive and accommodating staff. Everything was perfect! Clean, kind staff, great breakfast. Also: the restaurant is good and open until late... a dream place! 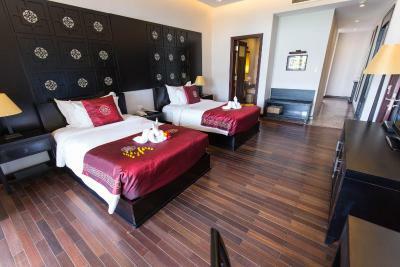 Not negative, because hou should be aware when you book this hotel, but the hotel is a 20 min taxi drive (12$ approx.) from Hue centre. A free shuttle is provided (3 or 4 times per day) but the schedule may not fit you schedule. 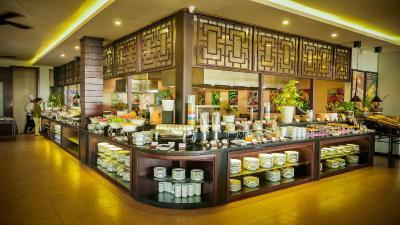 Great place - spacious rooms - nice swimming pool - Fantastic staff - very good breakfast. All pictures on the website are accurate. And a very good and reasonably priced restaurant. 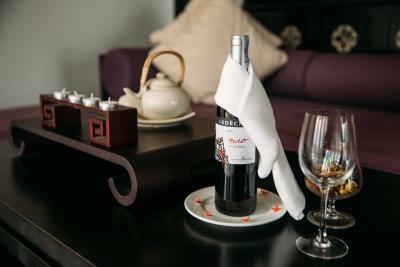 No need to go to Hue centre every evening for dinner when you can sit on the lovely terrace of the hotel restaurant. The hotel its self was beautiful. 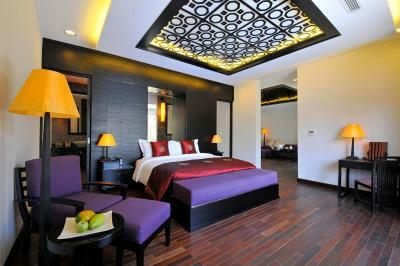 Lovely bed and room. Food not amazing for such a high quality hotel. Beautiful beach front and pool. Great wines in the fridge. 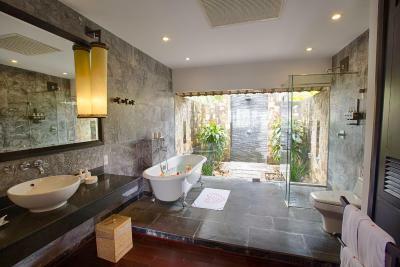 Bathrooms were amazing. Dinner and breakfast was well-done. 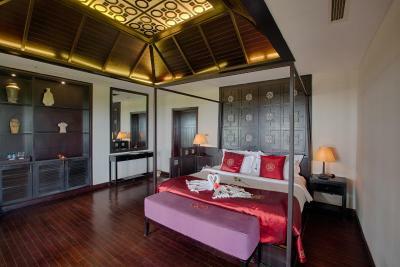 Deluxe private suite rooms are beautiful!! As mentioned above. The gym is a joke. The treadmill bust a fuse whilst I was on it. They blame it on the ocean air. I‘m sure this place was pretty nice when it opened - not sure if they‘ve done much to the property since. The staff is super nice and try as hard as possible to make up for what the management seems to be lacking. The bungalows are nice. The pool is nice. The beach is pretty swell - I wasn‘t a huge fan of the rubbish (plastic plastic plastic). It‘s quite a trek into town and the transport by the hotel is 4 times daily and drops you off in the weirdest place. 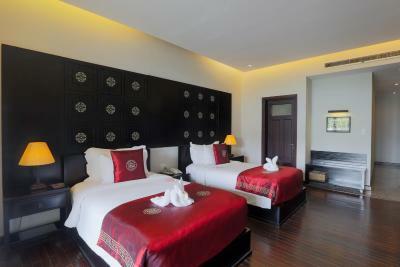 Nice beach, wonderfull food, clean room.